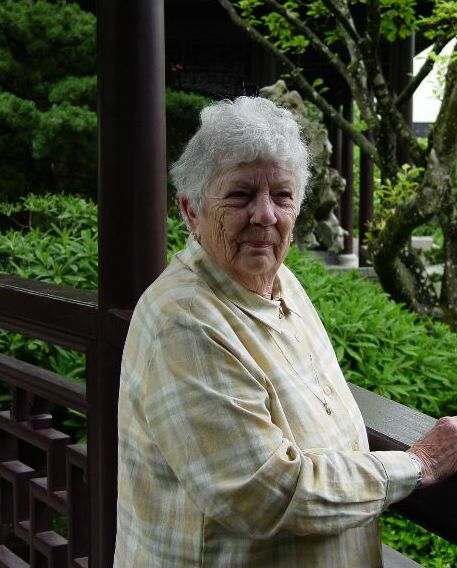 These pages are devoted to family events and photos, from time to time. This page is devoted to my brother's installation as pastor of Gethsemane Church in Portland Oregon. 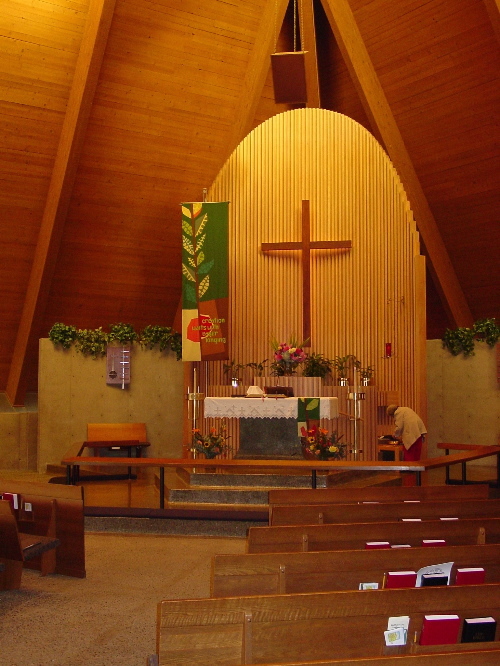 This is the chancel at Gethsemane Church. 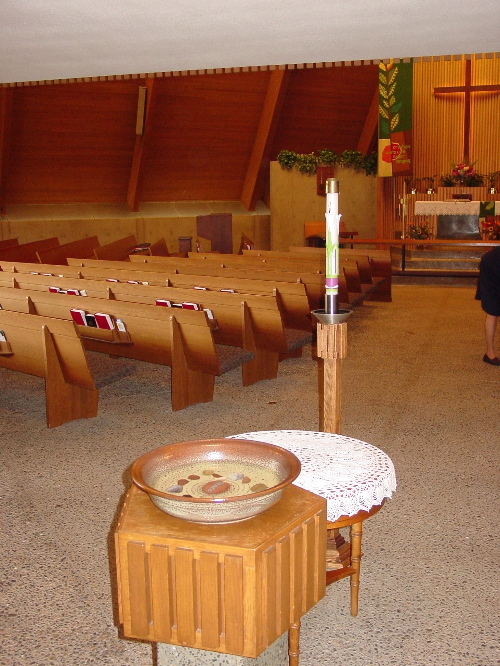 Founded by Germans, the interior is austere and focused on the altar. 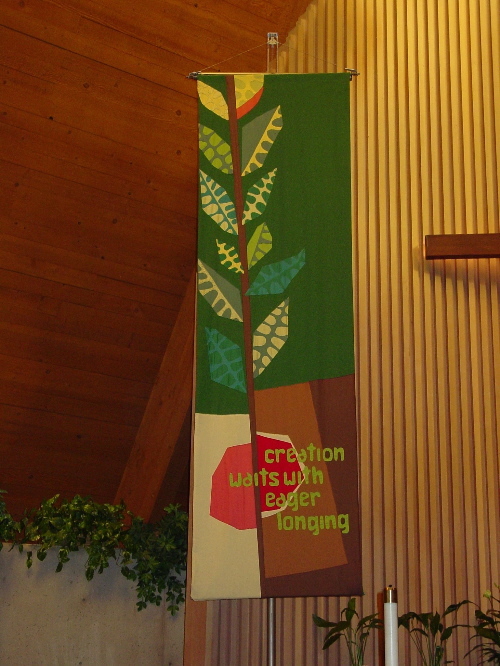 Someone worked very hard to create this especially fine banner for the chancel. The Font greets people as they enter the church. 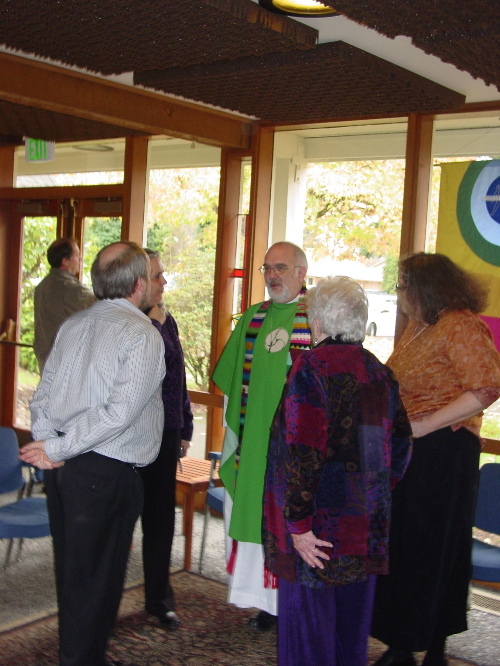 This is my brother Tom, holding court in the Narthex following the morning service as my mother and sisters look on. 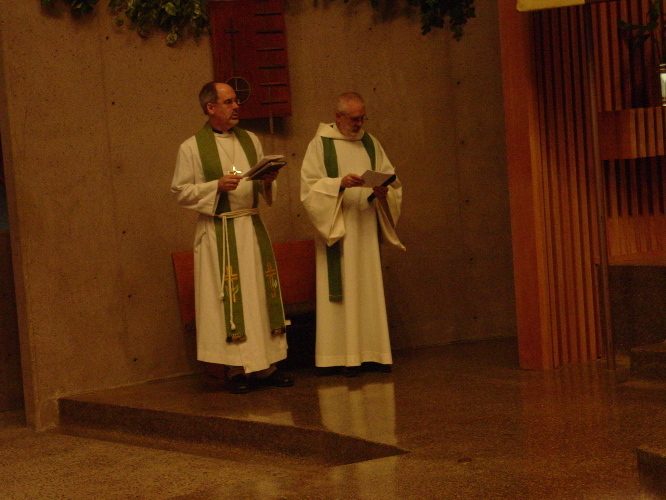 Here I am assisting the Bishop in the first part of the Liturgy. 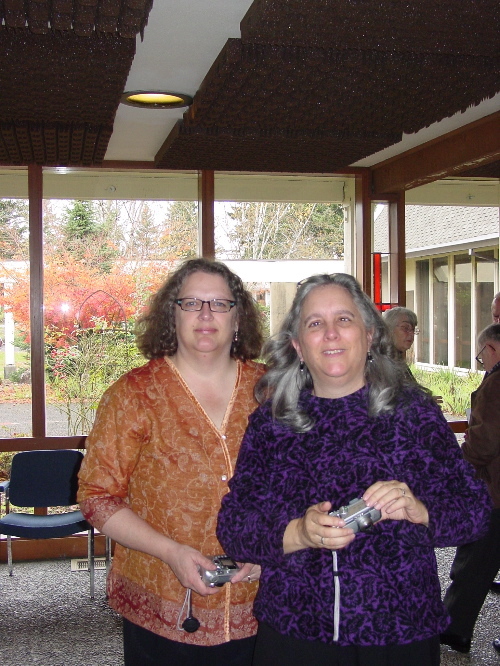 My sisters, Bonnie and Wendy were there as well, cameras in hand. 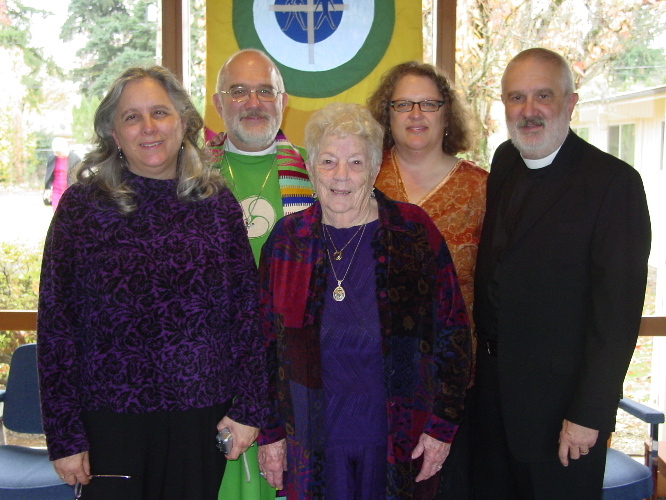 Here are all of us with our mother, Ruth. I think she looks happy and proud. 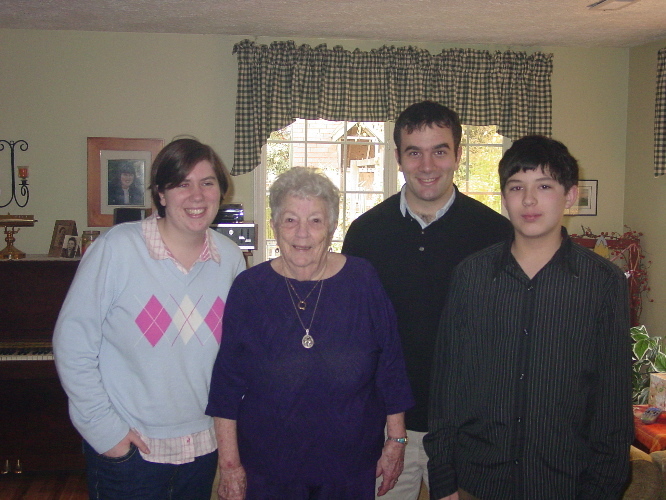 Here's mom again, with all of her grandchilden, with the exception of my daughter, Anna, who was in Madrid at the time. Behind mom is Tori, Alex, Tom and Lisa's children, and Carl, Wendy and Gordon's boy. 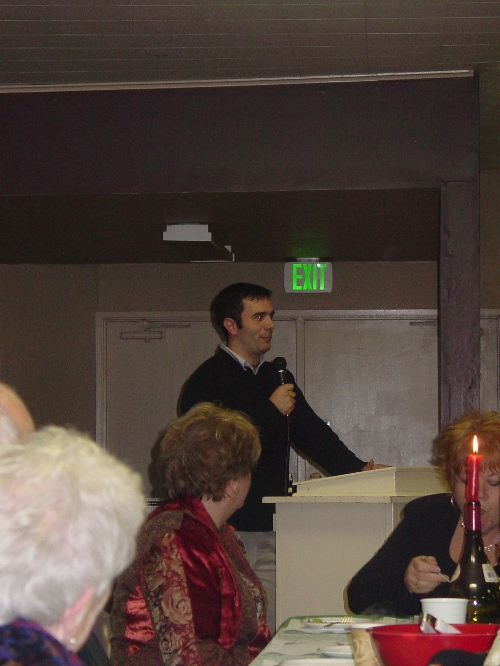 Following the Service, there was a dinner honoring my brother at his Installation, and also on the Thirtieth Anniversary of his Ordination. This is the essence of my brother Tom, and of his wife, Lisa. 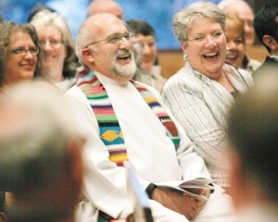 Here, surrounded by family and members of the congregation, Tom and Lisa laugh at a comment made by the Bishop. My brothers delight at that moment makes me very happy. Here's the link to the newspaper story.